St Lawrence Parish Church serves all who come to us, and the St Lawrence ward of Seal Parish Council within the District of Sevenoaks in Kent, UK. the hamlet of Bitchet Green, the hamlet of Stone Street, and part of Seal Chart (‘Chart’ means ‘common’), both North and South of the A25 road. While about half our worshipping family comes from our own parish, many others feel drawn to St Lawrence’s by the friendliness of the congregation and the beauty of the church building. Services are held every Sunday and midweek on feast days. Our worship includes both modern (Common Worship) and traditional (Book of Common Prayer) services. 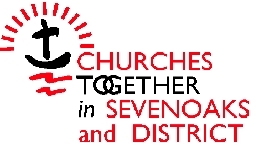 We are a Church of England Church, within the Diocese of Rochester, but also have strong ecumenical links and we are a member of Churches Together in Sevenoaks and District. 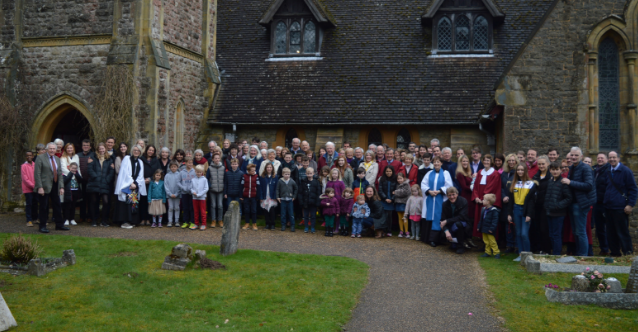 St Lawrence Church Family in 2018 – our 150th year! Our facilities include a loop system, a disabled toilet and large-print service orders.